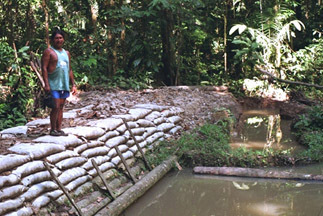 The Indigenous Aquaculture Initiative began at the request of the Secoya people in response to a rapid loss of traditional resources in recent decades. 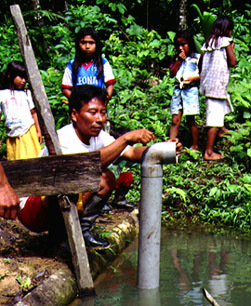 Fish farming is one way the Secoya hope to ensure a future for their children and their culture. 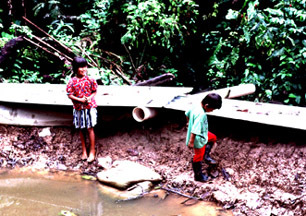 The indigenous peoples of the Amazon have used the rainforest for centuries without over-exploiting it; now colonization, pollution, and extractive industries destroy forest resources and circumscribe indigenous lands ever more tightly. 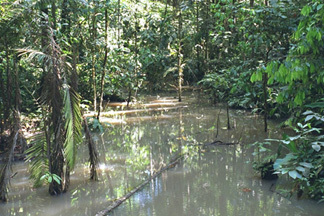 Aquaculture allows production of substantial quantities of food protein in a small area and, when successful, demonstrates the value of preserving the rainforest.